A light and bright, super easy sauce of Argentinian origin that you can creatively customize. Use as a dip, salad dressing, on grilled meats or a sauce for vegetables. Makes apx 1 ½ cups. Puree garlic, herbs, vinegar (or juice) in the bowl of a food processor, stopping to scrape down the sides of the bowl with a rubber spatula as needed. With the motor running, add oil in a steady stream until emulsified (again, scraping down the sides of the bowl or garlic can as needed although I actually like a few small chunky pieces of herb and garlic!) Transfer sauce to an airtight container and refrigerate at least several hours or preferably a day to allow the flavors to meld. Before serving, stir and season as needed. Keep in the refrigerator for up to 1 week. Add 2 T coarse Dijon mustard before adding oil, to make a thicker sauce. 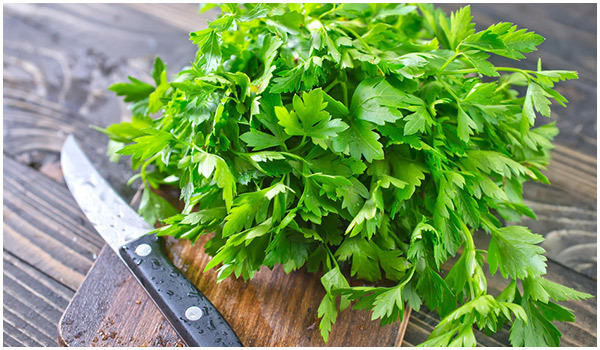 Substitute mint for parsley (or do a combo of both) to make a sauce for lamb. Prepare with cilantro and lime for a Southwestern inspired version. Drizzle on guacamole! Try different vinegars. Add a jalapeno or some chopped onion. Try a custom mix of herbs including oregano, thyme, dill. Stir into hummus and/or drizzle some on top. Stir into soups to add a punch of flavor. Make with some rosemary and toss with roasted potatoes.